The Cassida Platinum is a professional,powerful 2-Pocket Multi-Currency Discriminator,which has strong counterfeit detection and high performance. 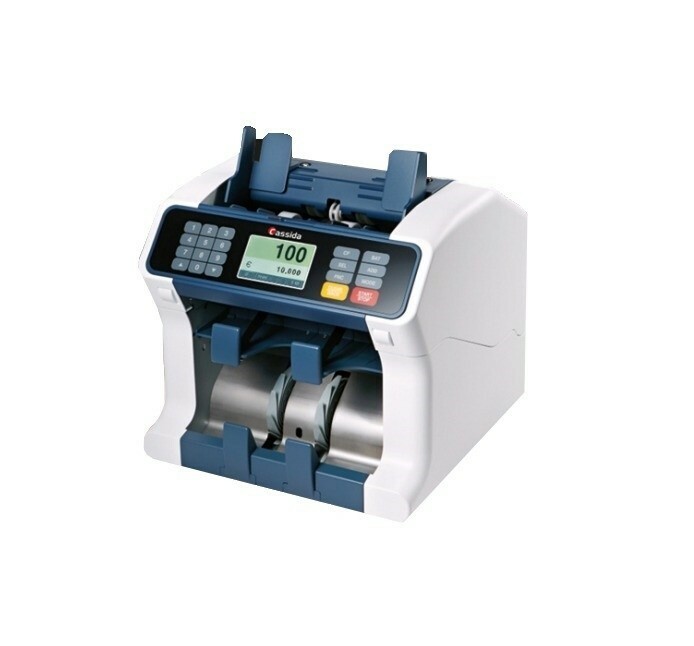 The Cassida Platinumisa professional,powerful 2-Pocket Multi-Currency Discriminator,which has strong counterfeit detection and high performance.The Cassida Platinum has a convenient user friendly interface,intuitive control panel,various counting mode sand professional detection system. The simple and strong structure of Cassida Platinum enables a wild range of applications: bankbranches– from teller window to back offices,at casinos,cash centers,exchange office sand etc.